Answer: You may take any type of ocean shrimp in California waters, but spot prawns are the most desirable and sought after for eating purposes; others are often used for bait. 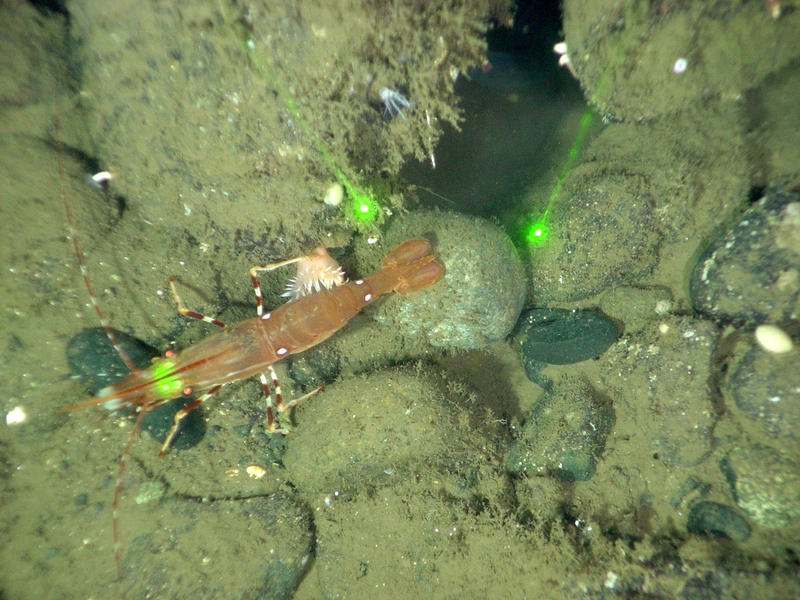 According to senior invertebrate specialist Kristine Barsky, because California’s spot prawns are found so deep – usually 100 fathoms (600 feet) or more – and the bag limit is only 35, most people are not interested in trapping these shrimp recreationally. Check out the crustaceans section of the current Ocean Sport Fishing regulations (beginning on page 55) for the regulations, legal gear, limits and other information you will need to know (CCR Title 14, Sections 29.80 through 29.88). Answer: Although you may be traveling along a public waterway, removal of the tree blocking your passage is the responsibility of the landowner or the public agency managing the property that the creek flows through. According to Lt. John Laughlin, public waterways allow for boaters to float through public and private properties but all vegetation is the property and responsibility of the landowners. If safe passage requires more than just pushing the vegetation to the side to allow you through, you’ll need to contact the landowners to deal with it. 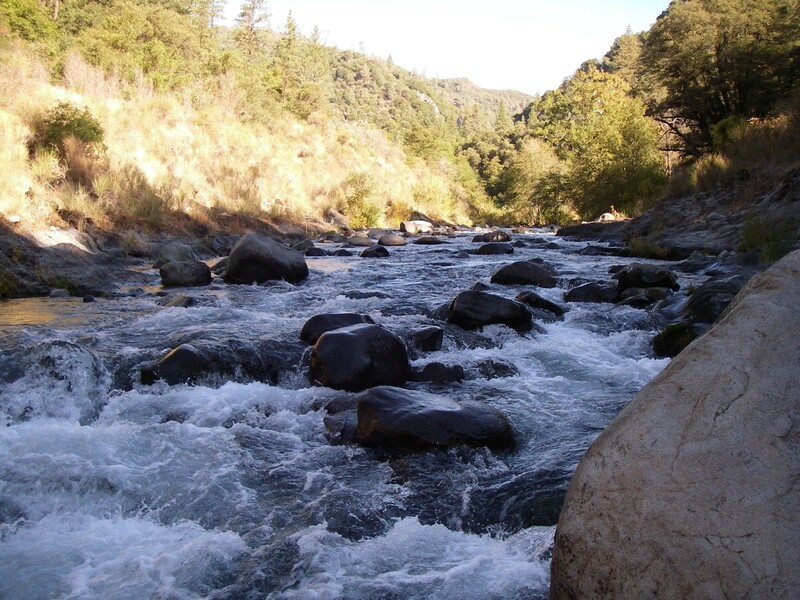 Depending on the severity of the tree barrier and magnitude of the removal project, the landowner may be required to get a streambed alteration agreement (FGC 1600) from the Department of Fish and Game (DFG). A tree should not constitute a fish passage blockage, but if it did, DFG should be contacted. How to handle loaded guns around game wardens? 1) Some folks unload their weapon in a calm manner to show respect for what a loaded weapon can do and respect for the game warden. This shows the warden you are handing him a safe unloaded weapon. 2) Many folks simply hand the weapon to the warden and that is also acceptable. 3) Setting the weapon on the ground is acceptable but depending on the terrain (mud, sand etc), this may not be a prudent choice. Fishing without a license from our apartment property? Question: I live in an apartment complex that sits on Seal Slough in the San Francisco Bay Area. Do I need a fishing license to fish off of the shore while standing on the apartment property with my child, who is under 16? Answer: Yes, you will need a license but your child will not. Anyone 16 years or older must possess a valid California fishing license in order to legally fish the public waters of the state. The only exceptions are the two free fishing days offered each year by the state, and fishing from a public pier in ocean waters. Carrie Wilson is a marine biologist with the California Department of Fish and Game. She cannot personally answer everyones questions but will select a few to answer in this column each week. Contact her at CalOutdoors@dfg.ca.gov. This entry was posted in Bag Limits/ Possession, Firearms/Ammunition, Fishing, Licensing/Permits/Stamps/Report Cards, Methods Of Take, Recreation, Regulations, Waterways and tagged boating, firearms, fishing, kayaking, ocean fishing, prawns, regulations, shrimp fishing. Bookmark the permalink.